A bill that aims to stop lawyers from wrongly charging homeowners for nonexistent foreclosure lawsuits unanimously passed a state Senate committee Tuesday. If the fear of foreclosure is something that you are dealing with, The Storck Team can help. 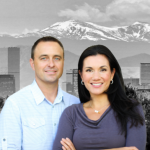 We are Denver's leading short sale and foreclosure specialists. Click here for contact information to The Storck Team and we can discuss your options. Lawyers who pass on to homeowners the court costs of filing a foreclosure lawsuit against them would have to prove they incurred the expenses, under a legislative bill — but only if someone asks. Additionally, foreclosure lawyers would be required under the bill proposed by Rep. Beth McCann, D-Denver, to keep receipts and other proof that the expenses they say a homeowner must pay to end the foreclosure process are real. Are you facing foreclosure? You need a professional real estate team in your corner. Call The Storck Team to talk about your options.